The Arniko Highway came from Khasa the border town in Tibet all the way to Kathmandu like a juggernaut. The highway ate up old farmlands, paddy fields, hamlets, even palaces. As it came into Kathmandu at Maitighar, the highway bisected the old Thapathali Durbar, the first palace to be built in the European architectural style by Prime Minister Jung Bahadur Rana, a legacy of his visit to England. On the right side of the new highway driving out of Kathmandu there was this house precariously sitting atop a mound of rubble, improbably balanced like a trapeze artist. I remember many a time climbing the rickety stone path leading to the house accompanying my father who still had a bad leg after the broken ankle he had suffered. Descent was doubly difficult as it was always dark and late as the parties were spirited! 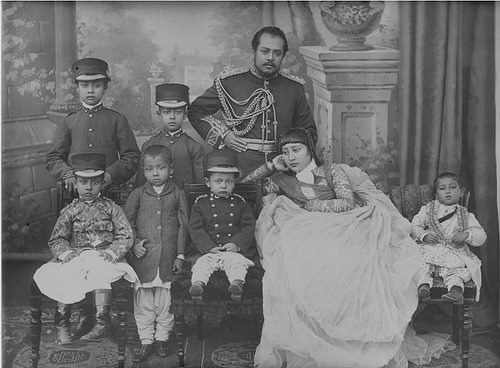 The host and owner of the house was Maharajkumar Mussourie Shumsher Jung Bahadur Rana. He did not have a military title like most Ranas as his father prime minister Maharajah Dev Shumsher Jung Bahadur Rana had been ousted from power by his younger brother Chandra Shumsher in a palace coup d'etat. He was simply called the son of the Maharajah, a 'maharajkumar'. He was born in the Indian hill station of Mussourie where the erstwhile Maharajah decided to live after banishment from Nepal and from where the son took his name. I remember him as a fascinating person, a pucca British country gentleman in tweedy habit, hush puppies, feathery hat and always with a walking stick. He would have been a most powerful man in Nepal had it not been for the quirk of fate that took away his father's power. This is the story of the brothers Dev and Chandra, perhaps a latter day version of the Biblical Cane and Abel story. 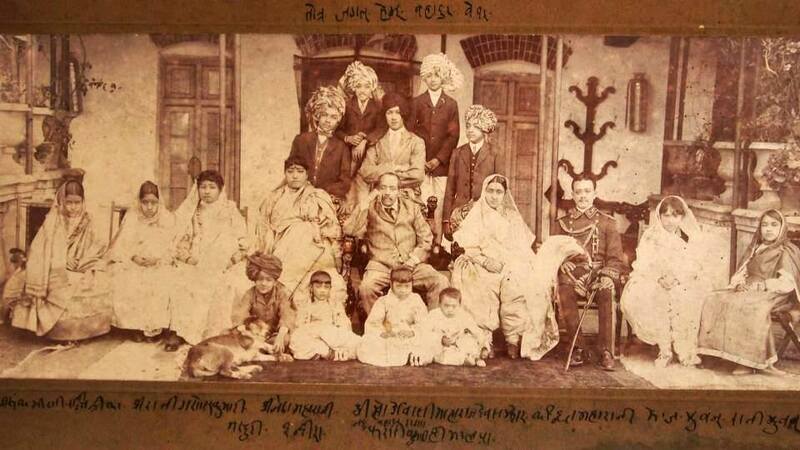 Their father Dhir Shumsher was the right hand man of his eldest brother Jung Bahadur. He was always his brother's pillar of support, accompanying him to England in the historical visit, waging war on Tibet or coming to the rescue of the British during the Indian Mutiny. He was always on the move and money was never on his mind. Too, he had a very large family of 17 sons and, to us now, an unknown number of daughters. Thus his children were always the poor cousins to the prime minister's own rich children. They were always the victims of jibes and taunts. Dev, fortunately for him, escaped penury as Jung Bahadur had brought him to his own household from early childhood since astrologers cautioned that he would not survive in the parental house. When Dev became the prime minister after his eldest brother Bir Shumsher’s death, tongues were already wagging that he would not last very long in power. He was too soft, too liberal, too democratic, labels that invited quick removal from power lest the Rana regime end. His younger brothers, especially Chandra Shumsher, were consummate autocrats and they knew that weakness would herald the end of the Rana oligarchy. They did not like him either as he was always the sibling who had it all when the rest were needy. Within 3 months Chandra mounted a coup d’etat and assumed control of Nepal. In 1911 to celebrate the coronation of King George V and Queen Mary as Emperor and Empress of India, British India organized the Delhi Durbar. Practically every ruling prince, nobleman, landed gentry and other persons of note in India attended to pay obeisance to their sovereigns. Prime Minister Chandra decided to lead personally the delegation from Nepal. Taking the opportunity of this visit Chandra decided to pay a visit to his ousted brother Dev. Invitation was sent and accepted. As prime minister of Nepal Chandra took large amounts of gifts for his brother including an expensive diamond ring rumored to be worth in the lakhs of Rupees. How could Chandra banish his brother Dev into exile and now try to buy back his love with expensive gifts? Dev diplomatically accepted. "Thank you for your kind consideration, bhai," exclaimed Dev feigning delight,"now here is something small for you from my side." He brought forward a jewel-encrusted crown of the prime minister he had taken from Nepal, a booty worth much more than Chandra’s gifts, and handed it over to a stunned Chandra! A gesture more cutting than a knife had Chandra reddening with shame. Very interesting read...As a descendant of Dev Shamsher myself I am very familiar with Maharajkumar Mussorie, his family and the famous house upon the hill. I went there many times with my parents as a kid and remember Mussorie Shamsher (we called him Raja Bua) exactly as you have described it. Its sad that the house no longer stands and has now been replaced by a horrendous looking concrete structure. I miss our old Thapathali neighbourhood! Attending school in St. George's College, Mussoorie, we heard of Dev's residence in Mussoorie as an old Nepal King's palace. I always wondered though, it never looked anything like the neo classical Rana palaces of Nepal. Or did I not get a chance to see the old building? I remember the palace consisted of a dozen or so steep cone roofs..felts like a resort as opposed to the austere Nepal palaces. I have posted the picture of Putali Durbar of Maharajah Dev in the Thapathali Durbar complex. Perhaps the building in Mussoorie was similar to this one as you mention steep cone roofs. dev shamsher ji was mom's nana.. am lookng for more of his pics. it would be great if i can get them...my nana is the youngest kid in the pic..
Nice to connect! Nana means mom or grandmom? What was her name? Was she Dev's granddaughter?"